Nedbank has renewed its advertising campaign with South-Africa’s outdoor media specialist, Primedia Outdoor’s AdLite holdings, to maintain and build brand awareness, serve and connect with communities, and ensure a greater level of convenience for their customers. AdLites are internally illuminated street signs, which provide directional advertising signage, and high-impact, 24-hour branding. “In some communities, directional signage is often used as a landmark and as such, we believe the Nedbank brand helps to facilitate directional requirements or conversations within the communities. This is another way we continue to make the things that really matter in communities happen”; she says. Liese provides several other reasons for incorporating AdLites into a media strategy. 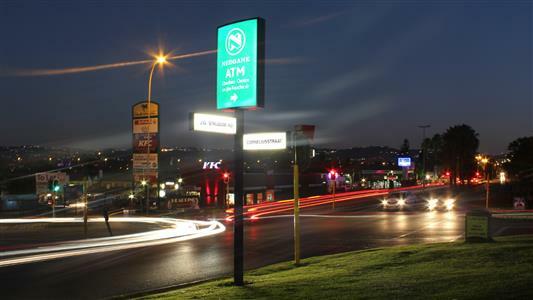 “From a channel perspective, directional signage for Nedbank contributes on many levels – it provides for an always-on presence in key areas for us, as well as delivering convenience and enabling end consumers to find the branches and ATMS easily”; she says. “In addition, it establishes the scale of the bank in communities and reinforces a reason to believe in the brand, by providing an accessible and easily locatable service." “AdLites may be small format, but they deliver big results”; says Peter Lindstrom, sales executive for Primedia Outdoor. “The Nedbank campaign puts some of the format’s key strengths to good use”. For more information, visit www.primeoutdoor.co.za. Alternatively, connect with them on Facebook, Twitter or on LinkedIn.